An endless five-star vacation, you will never want to leave home! This beautiful Portofino floor plan provides 2,130 square feet of interior living space and 242 square feet of private terrace area. The two separate terraces flaunt breathtaking ocean, Intracoastal and city views. This wonderful residence further offers 2 bedrooms, a den or optional third bedroom, 3.5 bathrooms and a gourmet kitchen. 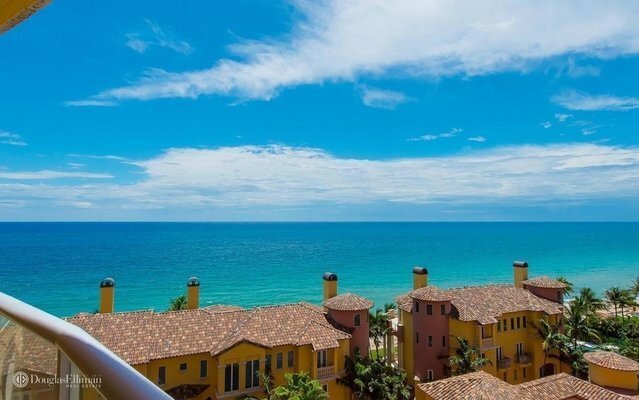 The residence is located at The Palms, Ft. Lauderdale’s most elegant oceanfront building directly on 450 feet of pristine beach, giving residents unequalled privacy, gated security, and service.